Elvin Ashby, passed away Tuesday, Nov. 8, 2016, he was 75 years old. He was born in Enid on Oct. 16, 1941. He grew up on a farm in Lahoma and lived there with his parents and two younger brothers Ron and Paul Ashby, until he married Dianna Allen in 1964. 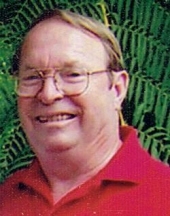 He worked as a accountant at Conoco for over 20 years before he retired in 1987. He loved to buy and sell antiques so 27 years ago, he, his wife and two brothers, along with their wives, established Ashby’s Antique Mall in Blackwell. He was a hard worker and was a dedicated father and husband. He is survived by his wife, Dianna, of Blackwell and his daughters, Sonia Sisco and husband Dale and Tonia White and her husband Tim, both of Owasso; also their grandchildren, Samantha Sisco, Bryan Sisco, Derek Sisco, Candance Sisco, Tyler White, Kylie White and Christopher Wade. He was preceded in death by his parents Chester and Pauline Ashby of Enid. A service will be held at 10 a.m. at Trout Funeral home in Blackwell Saturday, Nov. 12. Family suggests casual dress. He will be laid to rest in Waukomis. To send flowers or a remembrance gift to the family of Elvin Ashby, please visit our Tribute Store. "Email Address" would like to share the life celebration of Elvin Ashby. Click on the "link" to go to share a favorite memory or leave a condolence message for the family.